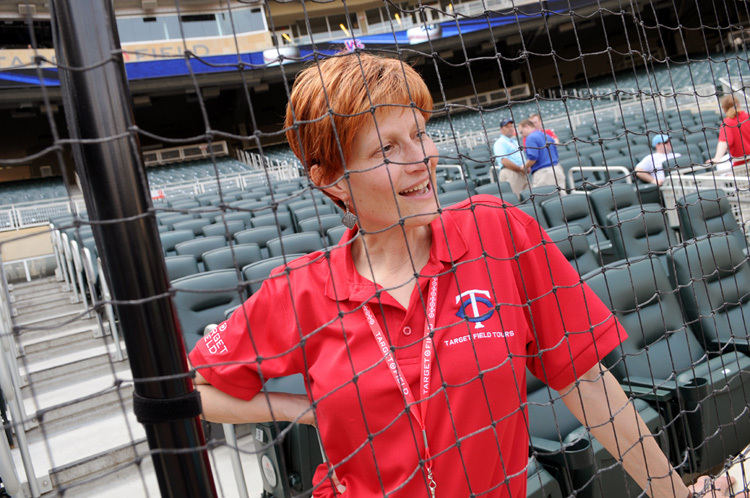 Kristin Anderson gives tours and presentations at Target Field focusing on architecture, sustainability issues, and art at the ballpark. At Augsburg College, Kristin Anderson teaches courses on the history of art and architecture, and she’s prepared to talk about works ranging from the Mona Lisa to the Metrodome. Anderson’s current writing and research are focused on sports architecture, and she is co-authoring a book on the history of athletic facilities in the Twin Cities. Minneapolis’ new U.S. Bank Stadium is scheduled to open its doors to the public following a ribbon-cutting ceremony on July 22, and Anderson offered an explanation in the Star Tribune as to why the facility’s design needed to be bold. Read, “As stadium opens, Vikings and city sail into new era” on the Star Tribune website.